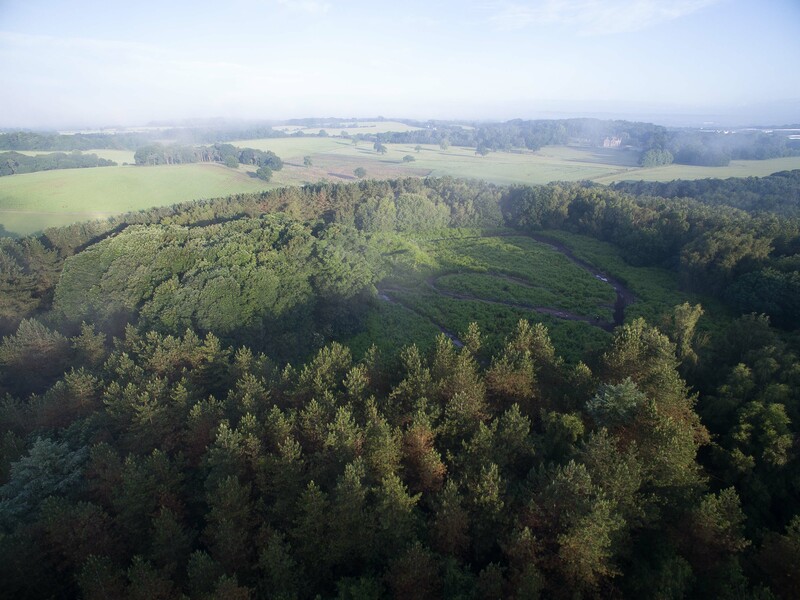 Located within the boundary of Sherwood Forest, Annesley Castle was a motte-and-bailey fortification built during the turbulent reign of King John. Its builder was Phillip Marc, brother to the Sheriff of Nottingham, and whose removal from post was specifically called for in the Magna Carta. The castle was demolished in the 1220s and never rebuilt. Annesley Castle was built by Reginald Marc in the early thirteenth century within the boundary of Sherwood Forest. Reginald was the brother of Phillip Marc, Sheriff of Nottingham and Derbyshire, who had been appointed by King John. The family where clearly unpopular because their removal from post was a specific condition of Magna Carta with clause 50 of that charter requiring the King to "entirely remove from their bailiwicks...Philip Marc with his brothers and his nephew Geoffrey, and the whole brood of the same". It was probably due this unpopularity and the subsequent civil war, the First Baron's War (1215-17), that prompted Reginald to construct Annesley Castle. The castle took the form of an earth and timber motte-and-bailey fortification. 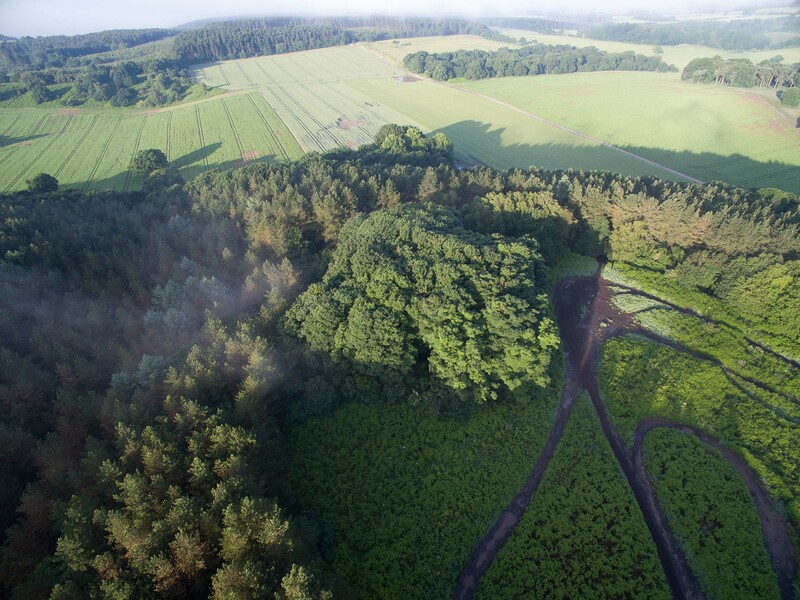 The mound itself would have been topped with a wooden palisade and was constructed overlooking a deep gully which provided strong natural defences on the south side. The bailey was located to the north and occupied the natural plateau of the hill. This gave it a broadly rectangular shape which was sub-divided into two distinct wards. The entire bailey was surrounded by a timber palisade but, unusually, there was no earth rampart. King John died in October 1216 and this largely defused the civil war. Most of the barons had little enthusiasm for a war against the new King, the nine-year-old young Henry III, and the prudent choice of William Marshal, Earl of Pembroke as Regent helped stabilise the situation further. 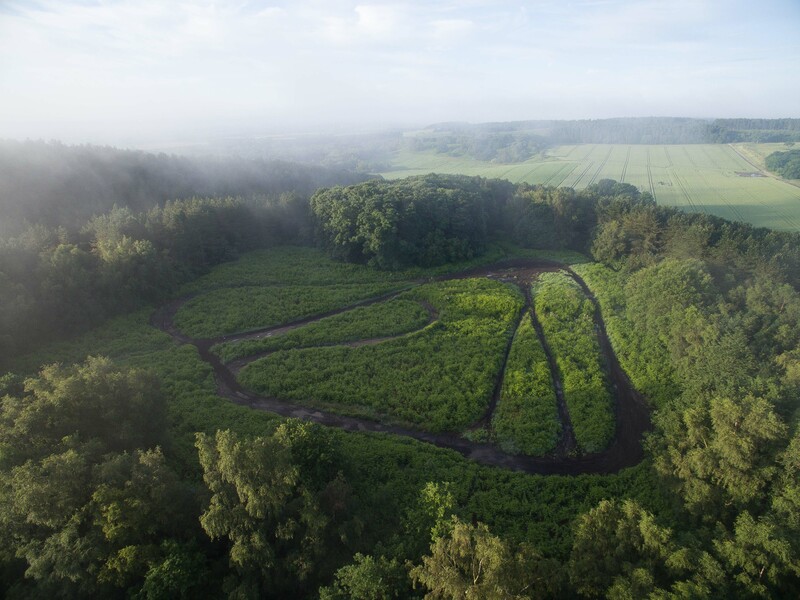 In 1220 the new regime ordered Hubert de Burgh, Earl of Kent to investigate the structure which almost certainly had been built without tacit Royal approval and accordingly breached Forest Law. The castle was probably dismantled shortly afterwards and never rebuilt. Historic England (2015). Annesley motte and bailey castle, List entry 1009395. Historic England, London. Salter, M (2001). The Castles of the East Midlands. Folly Publications, Malvern. Wright, J (2008). Castles of Nottinghamshire. Nottinghamshire County Council, Nottingham. 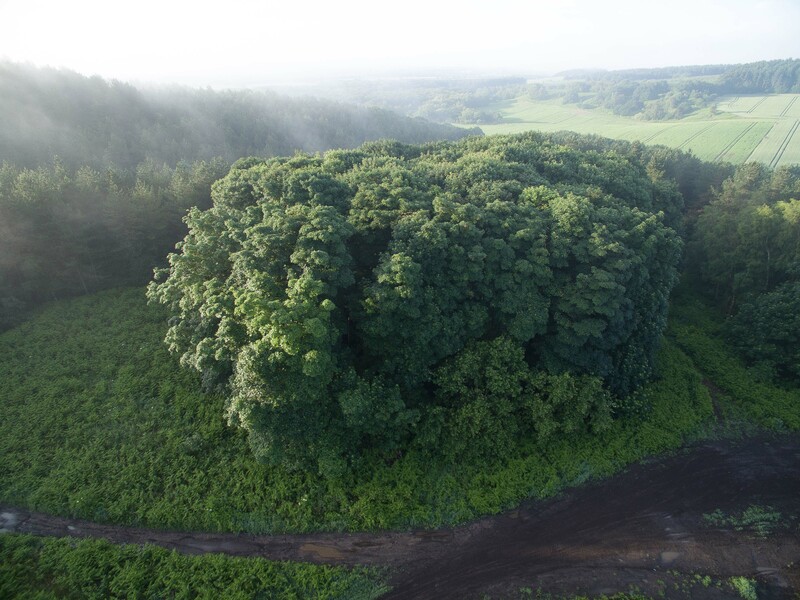 Annesley Castle survives as a series of discrete earthworks. 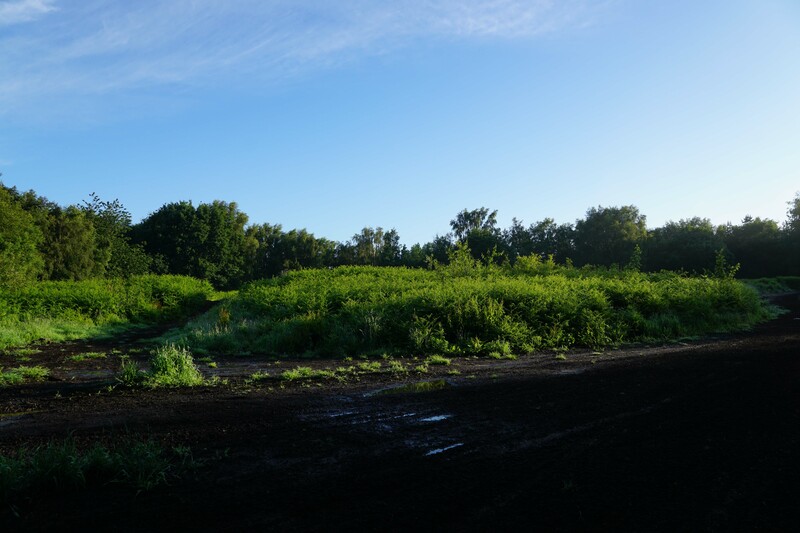 The motte, or the buried foundations of a small tower, are still visible although heavily overgrown. Likewise the outline of the bailey can be appreciated. 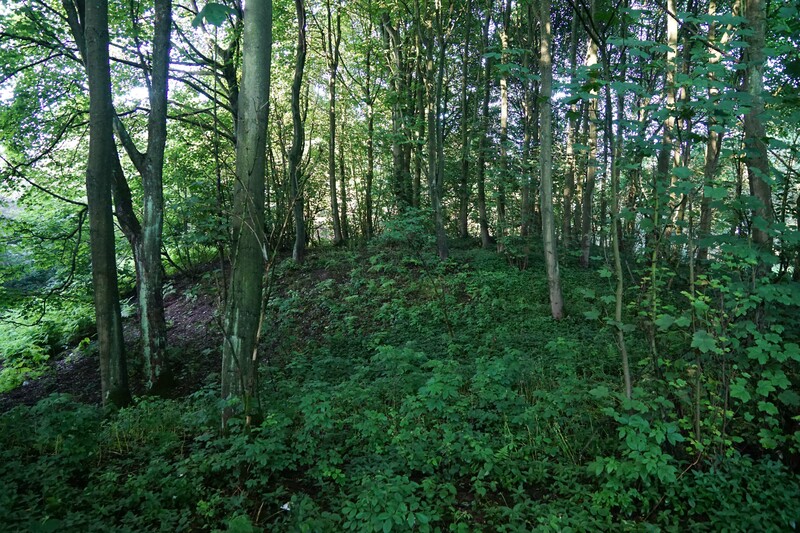 Annesley Castle Motte. 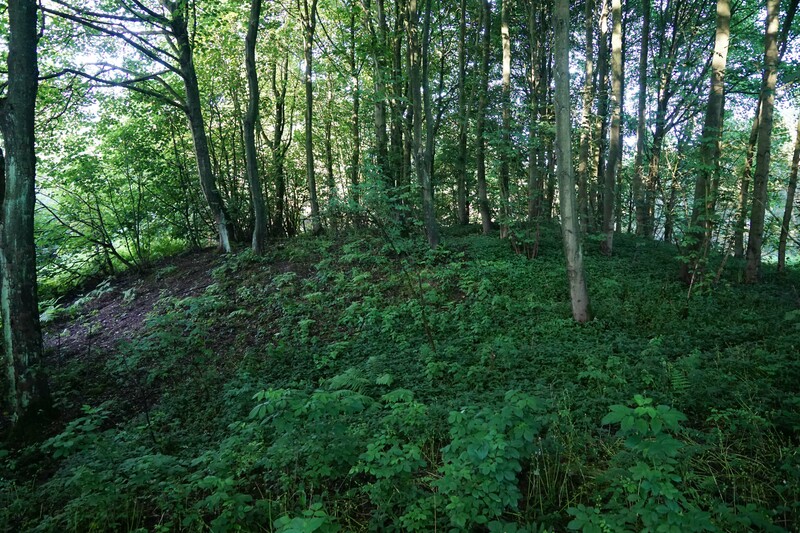 The motte overlooks a deep gully to the south which provided the fortification with strong natural defences and, for this reason, there was no requirement for a ditch around the base of the motte. Bailey. The bailey occupied the summit of the hill and was originally sub-divided into two parts. One half would have hosted the high status elements including the Great Hall and associated facilities whilst the other would have been used for stables and storage. Annesley Castle is found just off the A611. On-road car parking is possible nearby but care must be taken not to obstruct farm vehicles. Alternatively there is a lay-by off the A608 (Mansfield Road) and the visitor can then walk down Dog and Bear Lane towards the castle site.